Home » Blog » A sweeping webscape. Posted by Agency Zed on Mar 25, 2013 in Blog | Comments Off on A sweeping webscape. New book, new site! 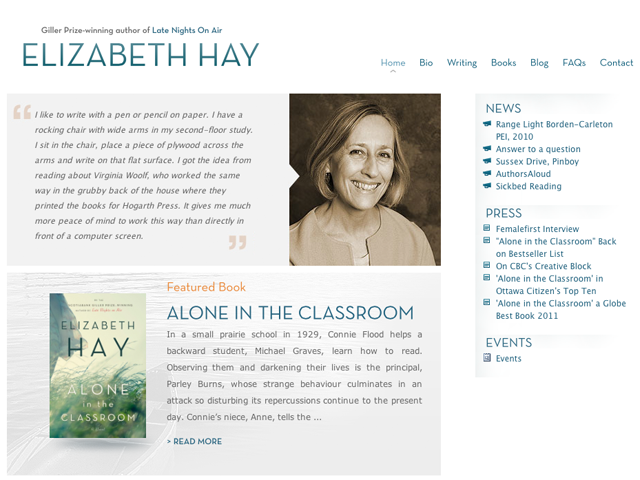 agencyzed and Turner-Riggs create a sweeping webscape for noted author Elizabeth Hay. Copyright © 2019 Agency Zed Productions Inc.